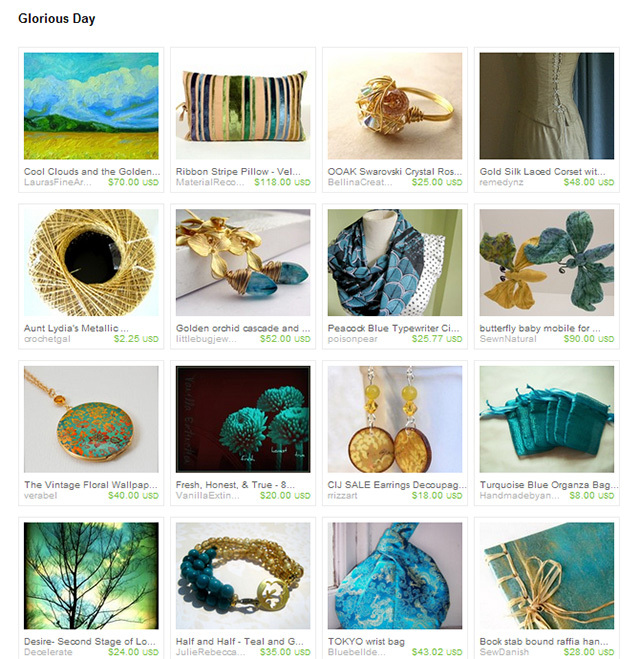 Here is my second of six planned treasuries this week. 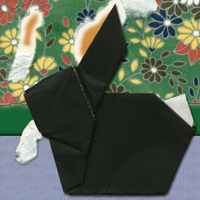 I am going to be a one person bunny blitz for visually getting the word out to the members of the Etsy Rabbits team and Etsy about International Rabbit Day being September 24th. 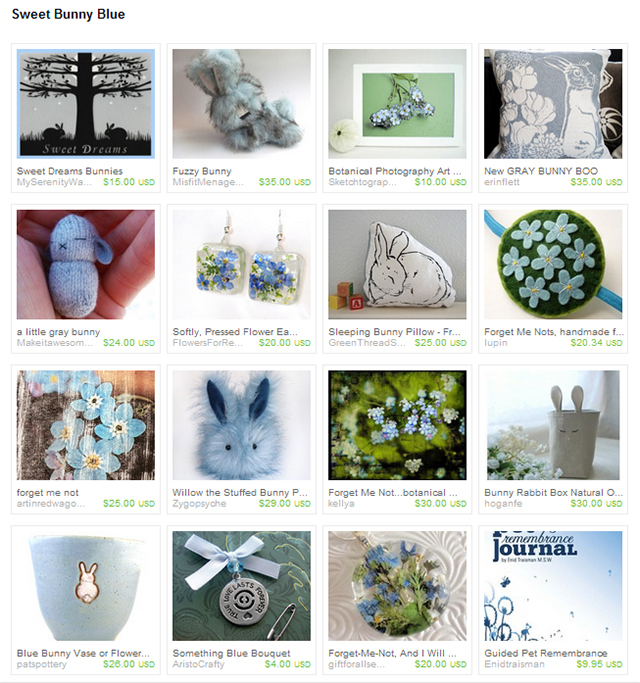 The six treasuries I have created for this week will showcase one item each from 96 of the 97 active shops of Etsy Rabbits team members. The only shop I won’t be putting into a treasury is Rabbittude, since treasury promotion isn’t intended to showcase yourself. 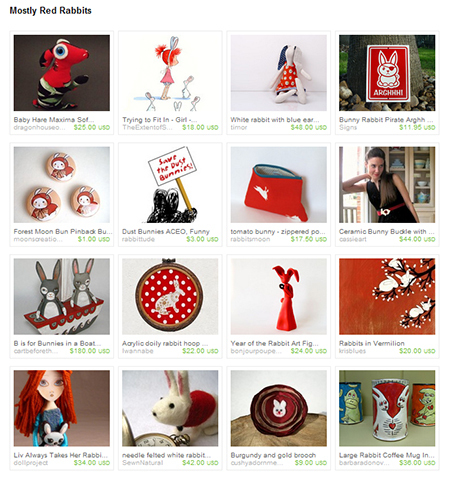 I hope to spur bunny rabbits to really start hopping in to Etsy treasuries in force this month! 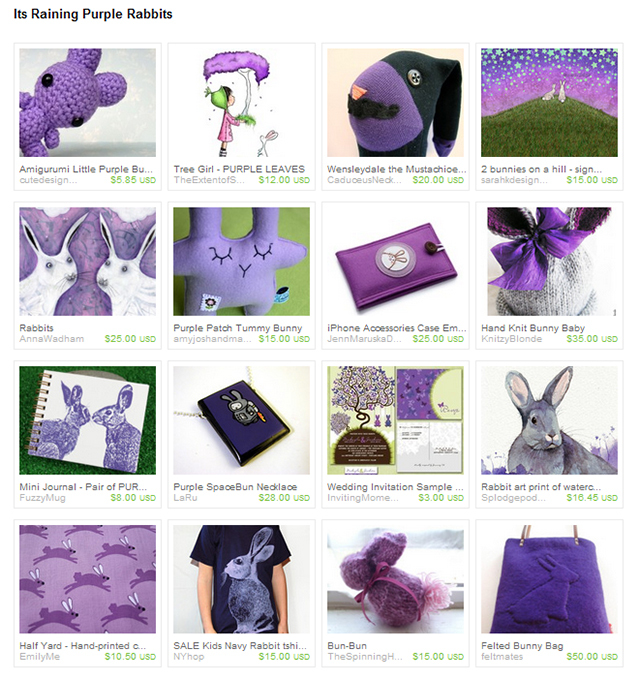 So I overdosed today on two of my favorites to create this treasury, rabbits and purple. If I ever find a way of combining purple, chocolate and rabbits, I may just need to be resuscitated. 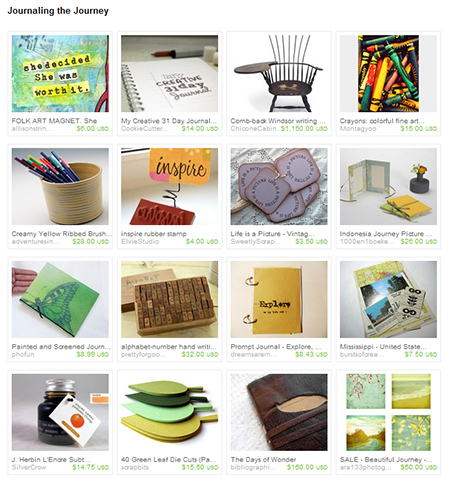 This treasury includes colors and themes from the September trends report put out by Etsy. Of course I had to lead it off with a bunny rabbit for International Rabbit Day which falls on September 24th. 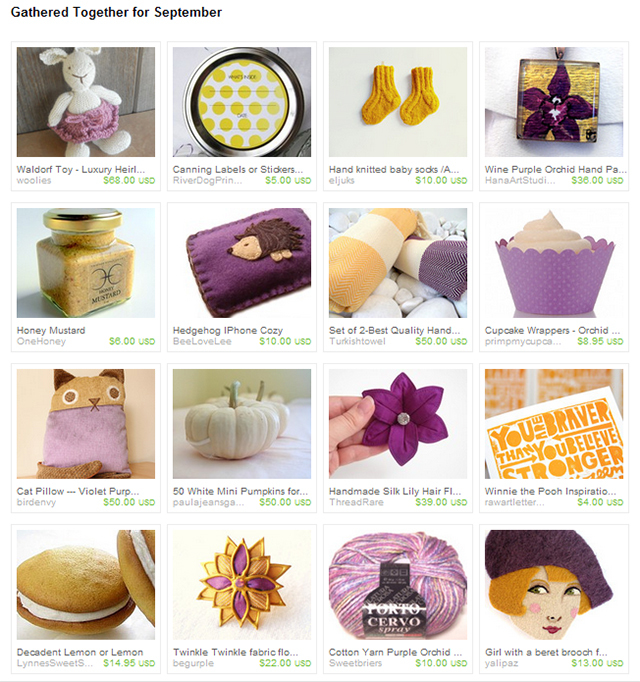 September is also National Honey month and trending colors are orchid and phlox purple. 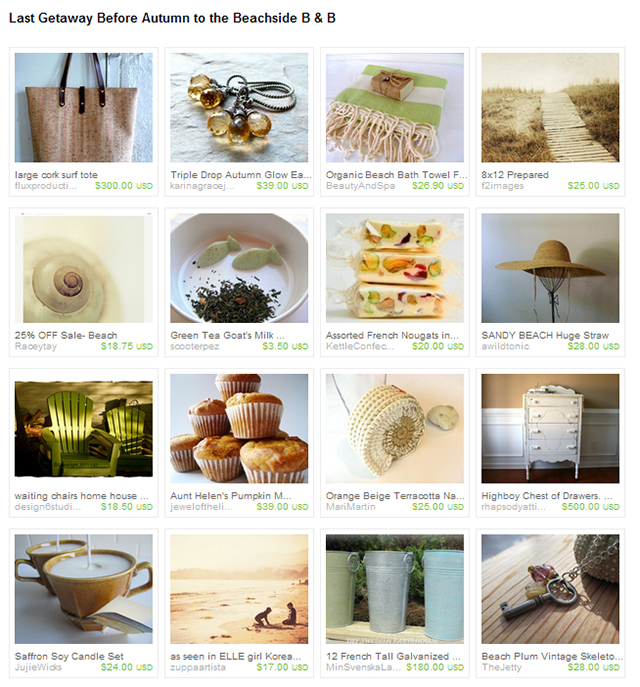 This was a treasury I created yesterday for a NonTeam treasury challenge. The challenge was to build a treasury around an item, in this case a fine art photo of crayons. The crayons made me think of a recent book I read, Journal Bliss by Violette. The book encourages working in many ways with a variety of media to bring out and unleash inner creativity. So I gathered up a number of lovely items on Etsy that could be used by anyone wanting to spend some time journaling. For the bunny journal today, both rabbits ran through here a little bit ago on their run around the house. I am happy to report that both Tigger and Shadow seem to be back to normal. The hard part with senior buns is to see the down days and just how far down they can go so fast, but it is so very sweet to still have the up days when life is on the rebound.